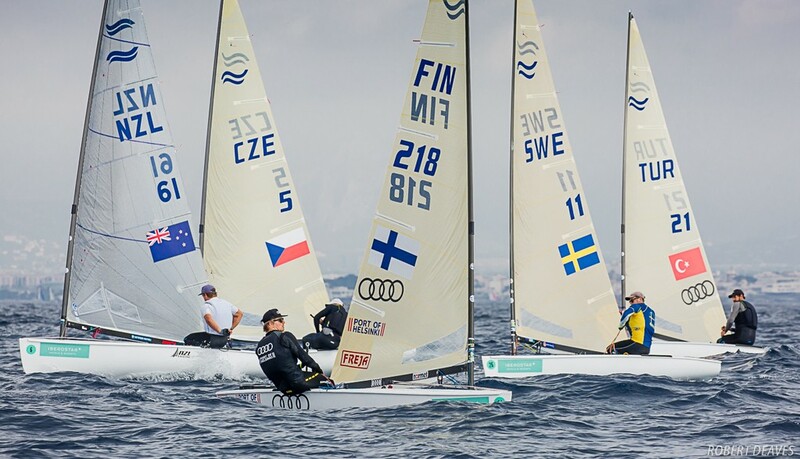 Andy Maloney, from New Zealand, continues to lead the 86 boat Finn fleet after the third day of racing at the Trofeo S.A.R Princesa Sofia Iberostar in Palma, Mallorca. His teammate Josh Junior is now up to second, while Facundo Olezza, from Argentina is up to third. Both Junior and Olezza took race wins in the gold fleet, but for much of the fleet it was a high scoring day. A look at the scoreboard for today tells its own story with few sailors achieving any kind of consistency. Only two sailors managed single digit finishes in both races, while many at the top picked up a mid-fleet finish. It opens things up hugely for the final two days of the opening series before Saturday’s medal race, with little room remaining for further errors. In the gold fleet, Junior took the first race in very light conditions after a patchy first beat the that left many of the favourites struggling near the back of the fleet and with a lot of work to do. London 2012 bronze medallist, Jonathan Lobert, from France finally had a good race to cross in second while Maloney consolidated his lead with a third.